Inspired by nearly a century of culinary craftsmanship, Le creuset is proud to present the signature collection as the next evolution of its enameled cast-iron cookware. Signature seamlessly blends Le creuset's classic form and feel with the latest ergonomic and functional innovations. New large loop helper handle facilitates lifting the pan and provides a better grip even while wearing oven mitts. Enameled cast-iron construction provides superior heat retention. Dishwasher safe for fast, convenient cleanup. 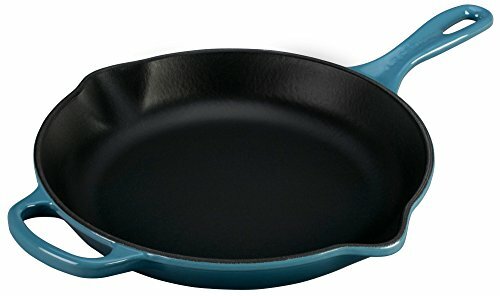 Le Creuset of America Toughened NonStick Fry Pan, 10"